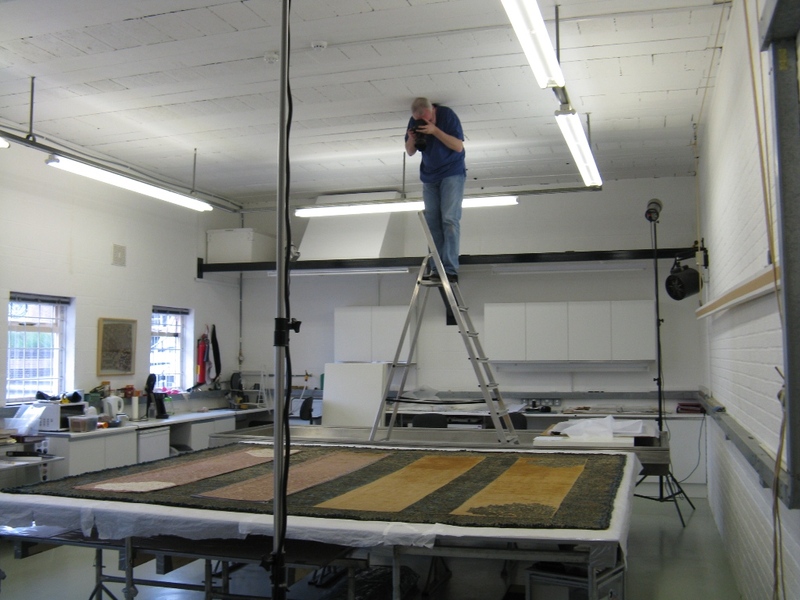 We photograph all objects in the studio, before during and after treatment as standard, and include this with the conservation documentation. Occasionally the client may wish to commission professional photography in addition, for instance for use in publications. The studio space is bright and large enough to accommodate this. We have excellent working relationships with a number of photographers who will do the photography in the studio where we can provide the correct handling of the fragile objects in our care. Here you see London based photographer, John Hammond, working on behalf of the National Trust Photo Library.